Kerri Sutherland was caregiver for her dad, Jimmie Sutherland, who had Alzheimer’s disease. He passed away in 2003. VANCOUVER, BC, Apr 24, 2014/ Troy Media/ – At first, the symptoms of dementia are subtle. Family members hardly notice the short-term memory loss, impaired judgement or language difficulties that a family member could be experiencing. Kerri Sutherland’s dad, for example, always helped to set the table for dinner. He would place the silverware just so – fork to the left of the plate, knife, then a spoon, to the right. Over time, however, he began to set the three utensils in the wrong order. It finally got to the point where he would just set them down, making no attempt to place them. “(The Alzheimer patient then begins) to think, ‘I’m not good enough. I’m stupid. I’m not good enough for anything.’” Their sense of purpose, she added, fades away. And then the caregiver begins to feel guilty. While caregiver to her father, Kerri often looked for support from the Alzheimer Society of B.C. When he died in 2003, Kerri took a job with the Society and is now a support and education coordinator for Vancouver’s North Shore and Sunshine Coast resource centre. Kerri teaches other caregivers how to cope with family members who are diagnosed with some form of dementia due to Alzheimer’s disease. “I get a lot of referrals from friends of people who have dealt with the Society,” she said. The initial contact with the Alzheimer Society is often daunting for those who are diagnosed with the disease as well as for their families. “Caregivers for people with Alzheimer’s think it is a downhill journey, that things are only going to get worse,” said Kerri. The Alzheimer Society of B.C. has 19 resource centres spread throughout the province that offer Alzheimer education through its Family Caregiver Series of workshops. Caregivers are given the resources and skills to cope, along with a basic understanding of the challenges they may be confronted with along the way. Week one of the series simply informs caregivers about dementia and how it relates to Alzheimer’s disease. They are also informed about the medications they will be encountering. Finally, they watch a DVD produced by the Alzheimer Society of Canada and Pfizer Canada. “It shows what it is and what it looks like,” Kerri said, by explaining the sections of the brain and what happens to a person when brain cells in those sections begin to die. “Essentially, this person loses the skill affiliated with each particular section of the brain,” she said. But the most important factor is to be with them, to “make it meaningful” by involving them in creating other sources for memories, such as scrapbooks and event-based vision boards. This often leads them to remember other memories and may lead them to tell another story for family members to document. It “ gives them a sense of security to talk about the past,” Kerri said. While repetition tends to frustrate caregivers, people dealing with dementia often repeat a thought or concern when they are stressed. Caregivers often assume that the person with dementia is doing it purposely. But, in fact, they are usually expressing the need for comfort, love and acceptance. Repeating also gives them a sense of security. While the Alzheimer Society identifies the ‘tools’ – patience, memory-inducing objects, photographs – that caregivers come to understand is a bond – a communication link – with their loved one, caregivers must stop, Kerri said, attempting to “bring them back,” because their brain is telling them they can’t come back. 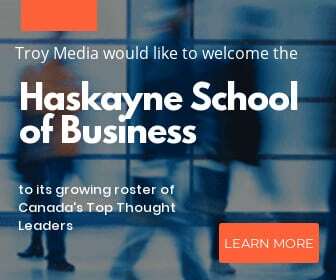 Troy Media’s Family Ties’ columnist Barbara Webb’s bi-weekly column helps all Canadians – even if they’re not (yet) in a caregiving role – understand the toll that comes with being a caregiver in Canada. For caregivers, our profiles of those undergoing similar experiences will provide them with coping mechanisms others are using, and make them aware of support networks they can call on for help. Tell Barbara your caregiver stories and help others to cope. Contact her at familyties@troymedia.com. Download this edited column. 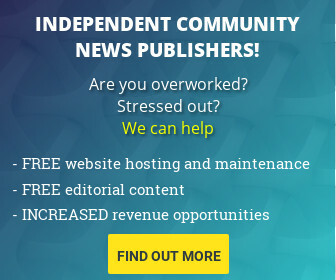 Prices start at $14, based on circulation/monthly unique website visitors. 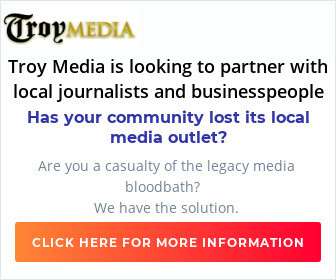 Login at Troy Media Marketplace. 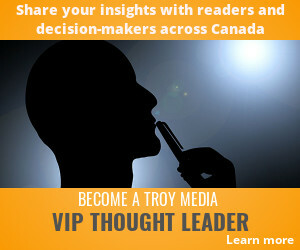 Access all of Troy Media’s content for your publication or website for one low monthly fee.